A SEARCH is underway near Scarborough Railway Station for a woman who went missing from her home yesterday. 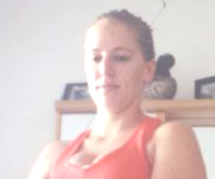 About 7.30pm (Thursday), Wollongong police were contacted after 25-year-old Vanessa Burne was reported missing from her Wollongong home. It’s believed she may have headed off into bushland near Scarborough railway station. A search by police and the Dog Unit, Rescue Squad, and POLAIR, is underway this morning (Friday). Miss Burne is described as being of Caucasian appearance, with a solid athletic build, long blonde hair, blue eyes, and a tattoo on her lower back. She was last seen wearing a light blue jumper and black tights. Police hold concerns for Miss Burne’s welfare and are urging anyone with information about her whereabouts to come forward.